Screw life and struggles because Alizeh taught Ayan to laugh a little harder, cry a little less and smile a lot more! Yet another creation of KJo, this movie gave us Anjali and Rahul. The quintessential friends, who take sides when it comes to fights, make efforts to set each other up and indeed be each other’s soul mate. Nonetheless, the basketball match decided the winner and the loser and the “cheater”! 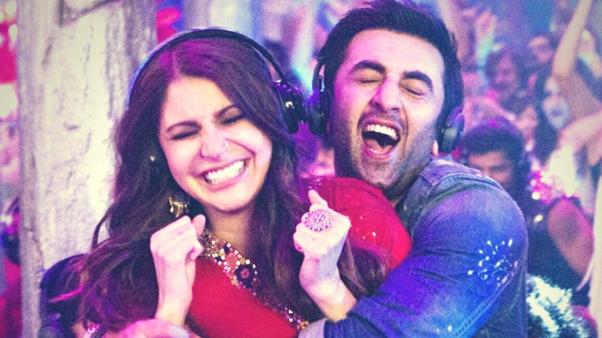 Naina and Aman- two poles of the magnet! They fight, fall in love, stay apart and come together, just what every BFF likes to do. They had different paths but taught each other the most important thing a friend could ever teach: those shiny blingy white teeth must be made visible to all, and for that, one must smile. Be it a cat’s funeral, awkward parents encounters, weird brother’s judgment to the typical “airport” love, Jai and Aditi made the bond of ‘Rats’ and ‘Meow’ so beautiful! All that we dreamt of in our college life was a relationship and a gang like theirs. Rich, spoilt Sid and the mature and bubbly Ayesha - the best combination of friendship. From sharing a home to their ambition, they made the cutest of friends. They both taught us that friends, although staying together, can grow separately without growing apart. A rich bit*h with a golden heart, a tharki munda and a sanskaari NRI girl, do we need anything else on the platter? Meera, Gautam and Veronica give us amazing squad goals. Complications, bonds and bliss, this is a tasty drink indeed. From making a “daaru ka adda” plan to scaling the Manali mountains together, Bunny, Aditi and Avi be the beast version of friends. Weird crazy conversations, hi-fi plans which actually materialize and a destination wedding of my BFF, thank you for giving me a life-goal Ayaan Mukherjee!